A well done WordPress Theme Customization can be the difference between having a cookie cutter site that simulate hundreds of others, and something truly one of a kind with the style, branding and functions that best perform your company or organization. By WordPress customization, you can give a new look for all your web pages. 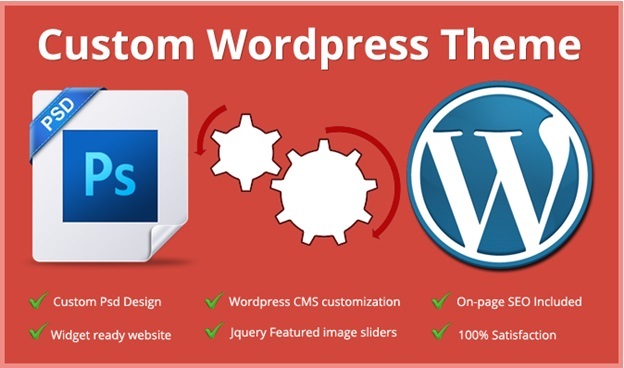 WordPress Customization Services are the best way to get maximum benefits out of WordPress open source framework. Omkarsoft, makes it essential for businesses to add a personal touch to their websites & blogs. We design and customize WordPress themes that match your needs. No matter how many options and settings a theme has, no theme designer can account for the needs of every possible user and give your company the look and presentation on the web that it deserves. Are you looking for help editing your WordPress theme? Consider us as your WordPress Customization Expert! We’ve helped customize over 100 WordPress themes. Whether you need a complete style and branding overhaul or an upgrade to your websites functionality, we will follow your guidance to style a WordPress Theme Customization that will turn the premium theme on your existing website, into the personalized, branded company website that you first envisioned.